We are manufacturers of truly seamless hair combs. 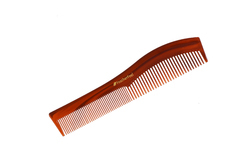 Seamless hair combs are recommended by trichologists and stylists because they prevent hair damage and scalp damage. Check out our range of seamless hair combs and call us for our entire range and best prices. We are manufacturers of seamless hair combs. They are made to glide over your scalp without causing damage. Call us for our best prices. 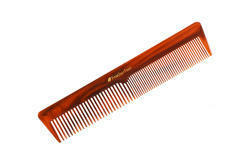 CA acetate hair combs are made from a non petroleum based plastic which creates minimal static. Our combs are completely seamless. Call us for our best prices.